If you and your team are heavy users of our email templates feature, it can be overwhelming at times to find the exact template you are wanting to use. This little trick helps you find that special template much easier. First start with opening a new email window, clicking on the 'Templates' button and then choosing either 'Edit' or 'Load'. When the drop-down list of templates opens up, just start typing the name of your template to quickly hop to the template in question. Use the “Backspace” button to start a new search. 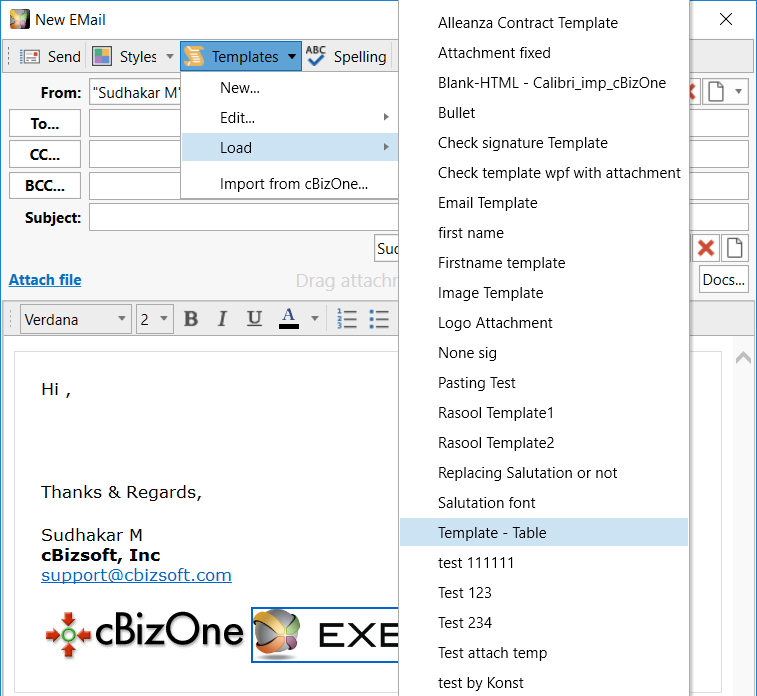 If you would like to edit “Sales-Contract” template, start typing “Sal”. For template “Bullet”, type “Bu”. Note: For every new search, please use the “Backspace” key and then search again.